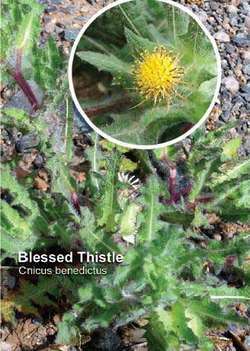 practitioners prescribed blessed thistle as a cure for smallpox. HERBAL TEA TO BOOST MILK SUPPLY Ingredients: 1 part nettles 1 part blessed thistle 1 part fenugreek 1 part chamomile 1/2 part lemon balm 1/2 part milky oats 1/2 part fennel Instructions: Combine herbs and store in an airtight container. Try a herbal menstrual formula containing blessed thistle, squaw vine and barberry, and cramp bark ( all of which help to cleanse the reproductive organs and balance hormones.